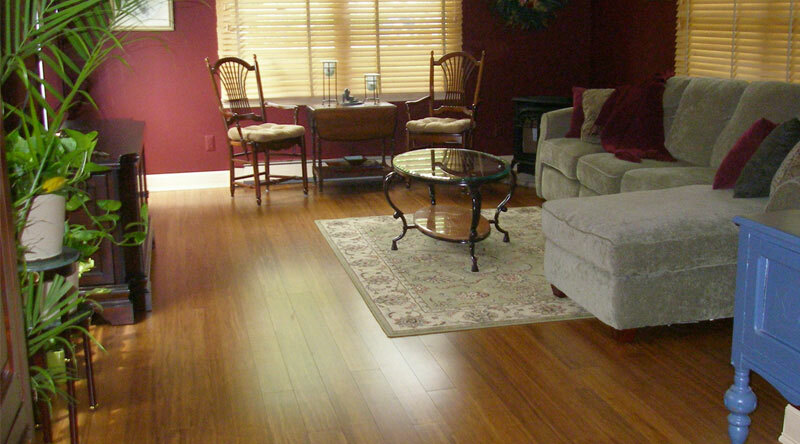 For many years, hardwood floors had been all the rage with homeowners. 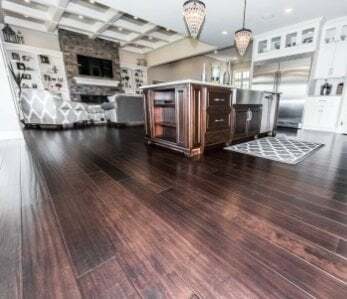 Just installing hardwood floors would increase the value of the home, and people loved the warm, sophisticated look hardwood gives to any room in the house. With the increase in green building, more homeowners have looked for alternatives to hardwood floors and have quickly embraced bamboo. 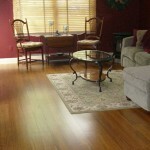 Bamboo floors also offer a very stunning and unique look in any room, are durable, sustainable and budget friendly. But, considering how popular bamboo floors have become, we still get an awful lot of questions about it. You may have heard that bamboo is the “greener” choice but do you know why? It’s because it is able to regenerate itself so quickly. Consider the fact a hardwood tree that can take 30 or more years to mature and you realize why so many forests on the planet have been completely wiped out. Since bamboo is technically a grass and not a hardwood, it grows in a much different way and can regenerate in as little as 3-5 years instead of 30 or more. This is why bamboo flooring is ultimately a much more environmentally-friendly and sustainable flooring choice. Although not technically a hardwood, after bamboo has gone through the manufacturing process, it has a very high . 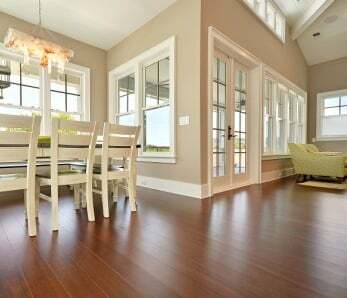 In fact, the majority of our bamboo flooring has a Janka rating 3 times harder than oak. Bamboo can stand up to a lot of punishment, so is a great choice for families with small children and pets. Bamboo is not only scratch and dent resistant; it is also moisture, rot and insect resistant as well! 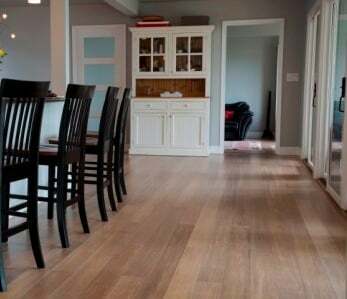 Strand Woven – Incredibly durable, these floors, which are 3 times as hard as Oak, can stand up to major traffic from people and pets. Click Lock – Since these floors require no glue or nails, they are the perfect choice for people who love a good weekend DIY project. Simply click the planks into place like one big, beautiful puzzle. Classic – These classic flooring planks show off the distinct nodes of the bamboo plant providing a beautifully unique look for your home. Hand Scraped – Hand scraped bamboo planks are hand-crafted by artisans. 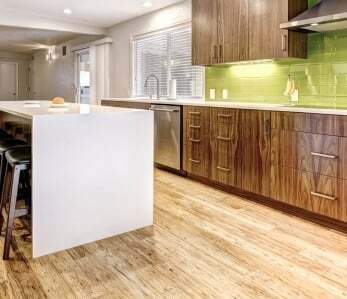 The result is bamboo flooring that is both rustic and elegant. Engineered – An excellent choice for below grade or basement installations. To keep your bamboo floors clean of dirt and debris that could, over time, scratch the finish, simply dust mop or vacuum the floor (never use a brush head though). Avoid using excess water when cleaning your bamboo floors. All that is needed is a slightly damp cloth or mop, and immediately dry the floor afterward with a dry, clean cloth. Should a liquid spill on your floors, immediately blot the spill with a dry sponge, cloth or paper towel. Although bamboo, being a grass, is resistant to moisture and rot, leaving spills on your floor can lead to your planks buckling and warping over time. Never use abrasive soaps or cleaners on your bamboo floors. Always use cleaners recommended by the manufacturing company and follow directions carefully. Never wax or polish your bamboo floors. 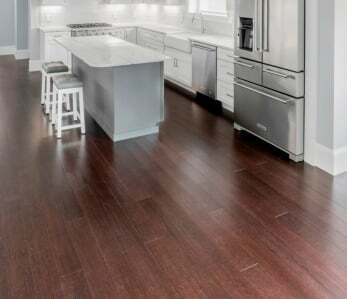 If you’ve been considering installing bamboo floors in your home but had questions, we hope this article not only answered them, but convinced you that bamboo floors are the greener and more affordable option to traditional hardwood. ‹ Bamboo Decking vs Hardwood Decking – Why Bamboo is Better!